Ayurveda Revolutionized gives the reader a radical new perspective in the practice of Ayurveda. It is not meant to replace what exists at present, but to be complimentary. This system is not new, but is offered as a revitalized approach to Ayurveda. The thesis put forth by the author in this text is that it is not constitution, as modern Ayurveda contends, but rather Seven Disease Tendencies, which are fundamental to the treatment of disease. In fact, this approach is mentioned by charaka, the father of Ayurveda, in his Charaka Samhita, the authoritative texts of Ayurveda. Eddward Tarabilda is an author, teacher and holistic counselor, who co-founded and is a director of The Institute for Wholistic Education, which offers correspondence courses in Ayurveda, Hatha Yoga and spiritual science. He has been a teacher of Ayurveda and was a colleague of Dr. Vasant Lad at The Institute of Traditional Medicine in the mid 1982s. Edward is the founder of the subjective discipline of knowledge known as "The Art of Multi-Dimensional Living." This discipline seeks to combine the best of the ancient mystery traditions, including Vedic teachings, with modern Western thought. 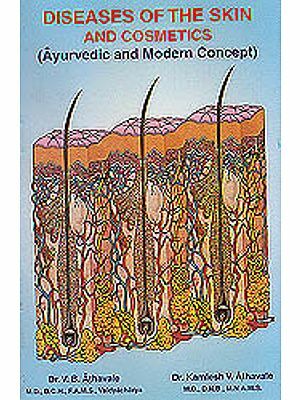 For the past eighteen years, I have dedicated my life to spreading the study and practice of Ayurveda- the great, universal healing science from India. I have sponsored and supported outstanding Ayurvedic physicians from India, including Dr. Vasant Lad, Dr. Robert Svoboda, and Dr. Sunil Joshi, in addition to publishing and producing twelve books on Ayurveda. As the producer of this book, I was asked by the author, Ed Tarabilda, to write the preface. Initially, I hesitated because of the nature of this work. The basic premise of this book is the author's contention that the teachings of Ayurveda which are in existence today are not the original Ayurvedic teachings. The source of modern day Ayurveda is credited to Charaka, who is considered the father of Ayurveda. Ed strongly suggests, and demonstrates through personal case histories over many years and numerous testimonials, that the basis of Ayurveda is not rooted in individual constitution, but rather in seven basic disease tendencies. This is a revolutionary presentation and certainly challenges the approach to Ayurveda which has been followed for the past three thousand years. In fact, all the books I have produced strongly promote the concept of constitution as the basis of Ayurveda. Therefore, I am going out on a limb to support this work. 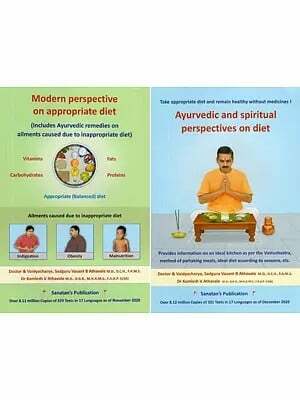 I do so not because I am rejecting my present understanding and experience with Ayurveda, but in order to give a fresh perspective to allow the reader to reconsider and review his or her understanding and prctice of Ayurveda. Personally, I have seen value in using this sample, direct approach to understanding and treating disease. I feel strongly that it deserves attention and investigation by lay people and practitioners of Ayurveda alike. It is important that we not reject any approach, no matter how uncomfortable, because it is contrary to our beliefs and practices. In producing this book, I certainly had to put aside my own experience and even bias as to what I have known to be Ayurveda. Ultimately, we must all be the authority in our own life, for each of us is fully responsible for ourselves. Therefore, even though what we have heard, read and experienced may be different from what is presented herein, we have a responsibility to determine the truth for ourselves. Personally, I have had reservations about the widely accepted approach of Ayurveda in diagnosing and treating disease, since I have seen that many people do not benefit from the use of Ayurveda for their health issues. Therefore, I am open to considering anything that will support the healing of pain and suffering in humankind. To accept change, I feel, is humankind's greatest challenge, even though the very nature of life is change. It takes courage and a strong willingness to be open to and experience change. I would suggest that you, the reader, approach this book with an open mind and heart, and then determine through your own experience whether it is worthy of consideration as an approach to your personal health and well being. To me, the only failure in life is not to do.